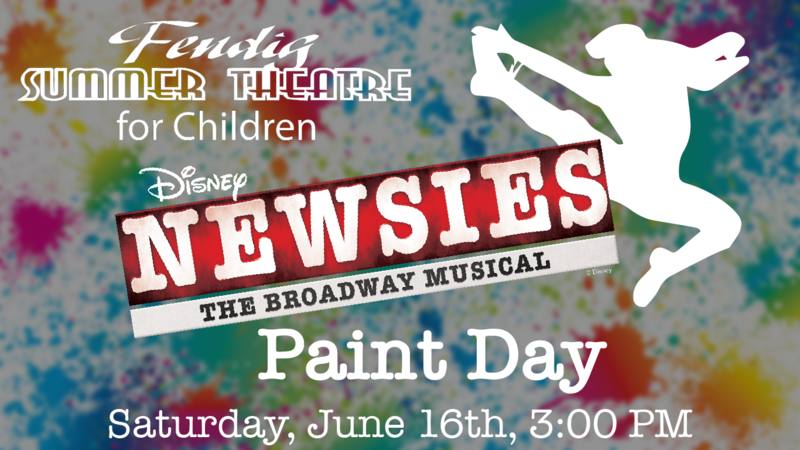 Come help us paint our set on Saturday, June 16th in the Rensselaer Central High School Auditorium at 3:00 pm! Everyone is welcome to join our production crew as we continue to create the world of Disney's Newsies. All those participating in the paint day must wear closed toed shoes and should wear clothes that they do not mind getting paint on. All Rensselaer Central Schools as well as Saint Augustine have been given Audition Packets to give to students. If your child did not pick one up they can still get it in the school office or you can download by clicking the image below and print it yourself. Please ask- contact us through the website or call the #s given in packet. Remember to check out the information about the show on our homepage! 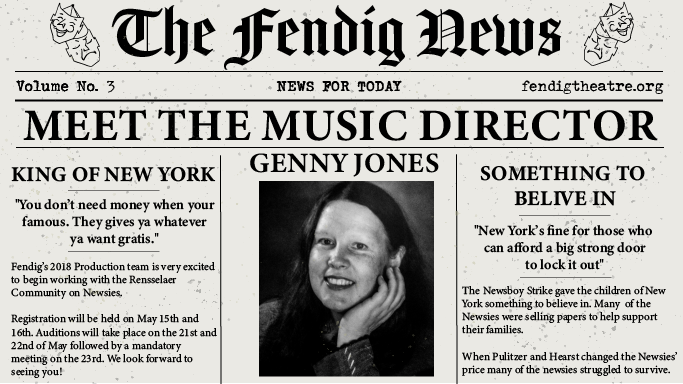 Genny has been involved with Fendig Summer Theatre since the beginning. 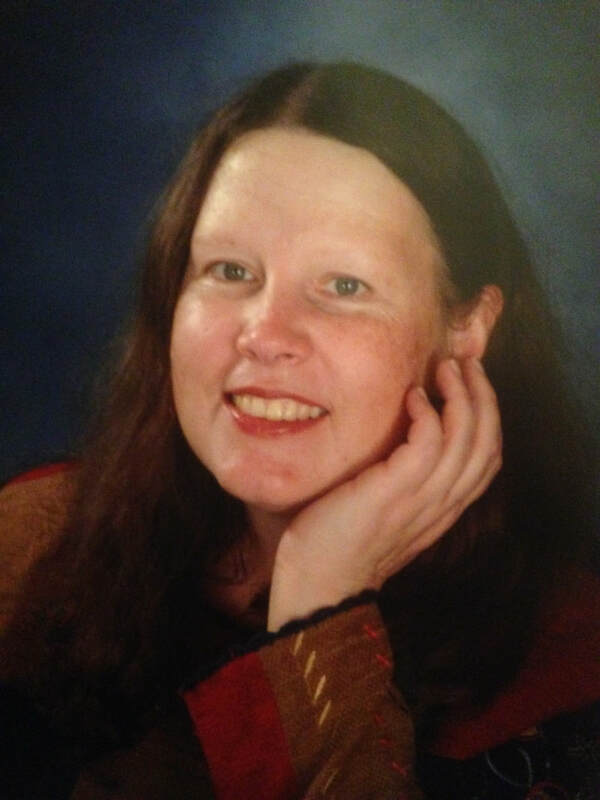 She attended the first production, The Pied Piper, as a kindergartner. In 2017, she served as Music Director, playing the piano and leading the pit orchestra for Hello, Dolly! According to God’s perfect timing, this was the 30th anniversary of our first production of Hello, Dolly! In 1987, she also led the pit band while accompanying the show. The Hobbit (1977) was the first play Genny acted in. Appearing as a spider on stage in the RCHS Large Lecture Hall, searching for an invisible Bilbo Baggins who was actually right there in plain sight, was a big thrill. Genny first played piano in the RCHS Auditorium two years later, in The Music Man. Portraying Amaryllis, the little girl who always seems to play a wrong note or two, she performed “Goodnight, My Someone,” wishing on a star for her true love. Talking on the telephone with her friends in “Telephone Hour” was the highlight of Bye, Bye Birdie (1980). Singing nuns dominated The Sound of Music (1091), and Genny was one of them. Since then, Genny has earned a college degree in music and performed in eight states of the US. She very much looks forward to working on the 43rd Fendig production, Newsies, and hopes to be part of another magical show! Harrison is very excited to be working with Fendig this summer! Harrison’s experience with Fendig began in 2009 when he performed in Thoroughly Modern Millie. He continued to perform with Fendig in many productions including Seussical and Singin’ in the Rain. 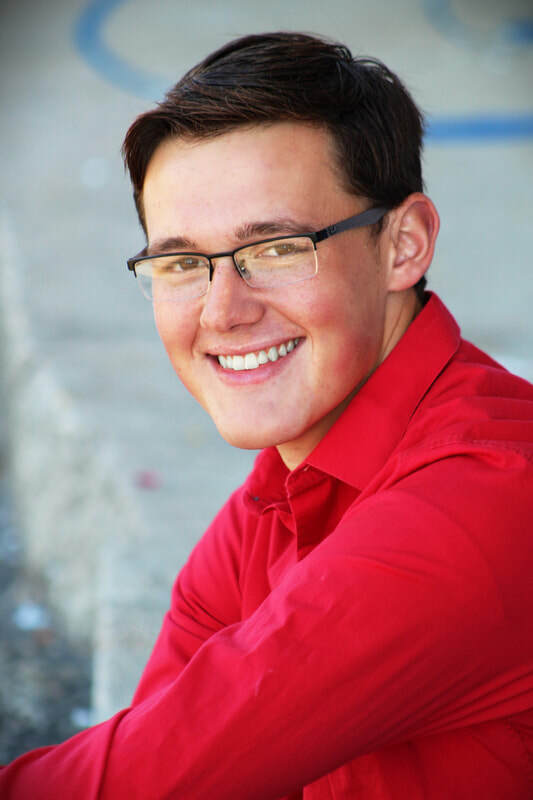 Harrison has also volunteered for our productions of Willy Wonka, The Wizard of Oz, and Hello, Dolly! Fendig helped to develop Harrison’s interest in the art of storytelling. Currently, Harrison is pursuing degrees in International Theatre Production and Computer Science at Ohio Northern University. While working at The Freed Center for the Performing Arts he has been involved in many productions such as Carrie the Musical and Sweet Charity. Blake is very excited to be working on his first Fendig production as the director. He has worked with Fendig previously as choreographer for Fendigs 2015 production of Mary Poppins and helped out with the some dances for the Ommpa Loompa’s in the 2014 production of Willy Wonka. Blake is originally from Carrollton, Texas but currently lives in New York City. He attended The American Musical and Dramatic Academy for Musical Theater and works as a Junior Faculty Staff Member for the Broadway Theatre Project which is Musical Theater Intensive in Tampa, Florida. Blake’s favorite roles onstage include Pinocchio in Shrek, The Baker in Into the Woods, Lumiere in Beauty and the Beast, and Billy in The Cripple of Inishmaan. Blake is ready to get to work and is excited to meet the young actors at auditions. This summer's production is going to be Disney’s Newsies and I couldn’t be more excited. The story of Newsies is what Fendig is all about: a group of young people working together to achieve a goal. Gender Roles: The movie and the Broadway production had the majority of the roles played by boys. Historically, many Newsies were girls. For our production we will be taking liberties with some of the characters in terms of casting. Girls will play specific roles, as girls, that were originally played by boys. So there will be plenty of roles for girls and plenty of roles for boys. Cast: Newsies is an ensemble piece, meaning that the entire story is told with everyone’s help and contribution. There are very few moments in the show that only have one or two people onstage. Most of the show calls for a lot of actors to be present and working together to tell this story. 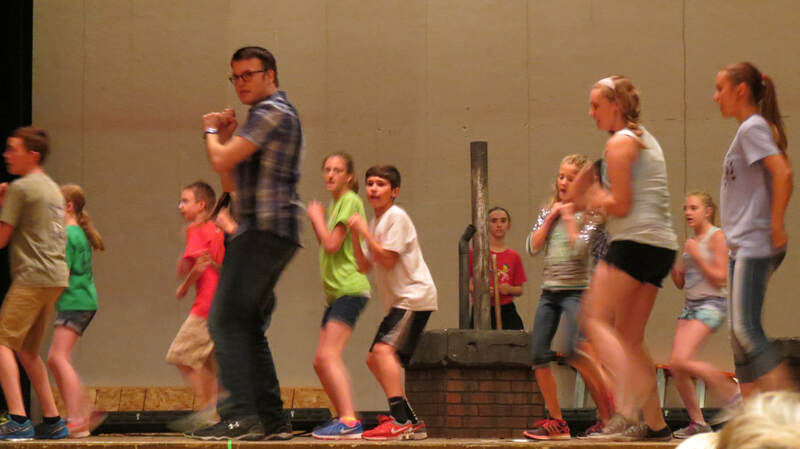 Stage Opportunities: The show gives the cast great opportunities for acting, singing, dancing. As well as a chance to learn stage combat and speech dialects. (Newsies are from New York, they have certain way of ‘talkin” and “speakin”, but I’ll help you guys out with that). ​Thinking back on my senior year at Ohio Northern I have so much to be thankful for. Being on staff this previous season, I created cherished memories and experiences with Fendig. For my senior project to graduate, I spent time outside of the production coordinating grants and researching community engagement in Rensselaer. I am thankful for the opportunity to learn about coordinating the areas of my degree with local community activities especially in my hometown. Working with a great production team, board and community has helped my education flourish. In this Thanksgiving season, I wanted to extend my thanks to those of you who support this organization and took the time to vote for our Community Thrives submission. Although we didn't receive the grant, we increased awareness for our need and had many people become friends. Becoming a Friend of Fendig will hopefully be a way to stay connected to an organization that has done so much for so many in the community of Rensselaer. Your time and support of Fendig and my project have been a true gift. Rensselaer has supported Fendig for over forty years. Rensselaer cares about their children and the opportunities for them to grow. The research and your votes demonstrate a strong support of the arts. Rensselaer cares about their community. Fendig has so much to be thankful for. We are thankful for the support and involvement of the community as we continue to advance theatre development for children. It's Not Too Late to Audition! It's not too late to audition for the 2017 production Hello, Dolly! We are accepting walk-in auditions today in the RCHS Lecture Hall until NOON today! Check out the audition materials on the website or just come on in! ​Thanks for a great group of auditions! HELLO, DOLLY!, the blockbuster Broadway hit is coming to Rensselaer! This classic musical bursts with humor, romance, high-energy dancing, and some of the greatest songs in musical theater history. The romantic and comic exploits of Dolly Gallagher-Levi, turn-of-the-century matchmaker and “woman who arranges things,” is certain to arrange something great this summer. Dolly, the widowed matchmaker who loves arranging "furniture, daffodils, and lives" suddenly finds herself in love with a wealthy merchant, Horace Vandergelder as they travel to New York. The adventures of Dolly, Mr.Vandergelder, his two merchants, his niece and her beau are a romantic comedy that will one to remember. With over 20 speaking and singing roles for both girls and boys and more dance numbers and songs than you can count there is a spot for EVERYONE to shine onstage. 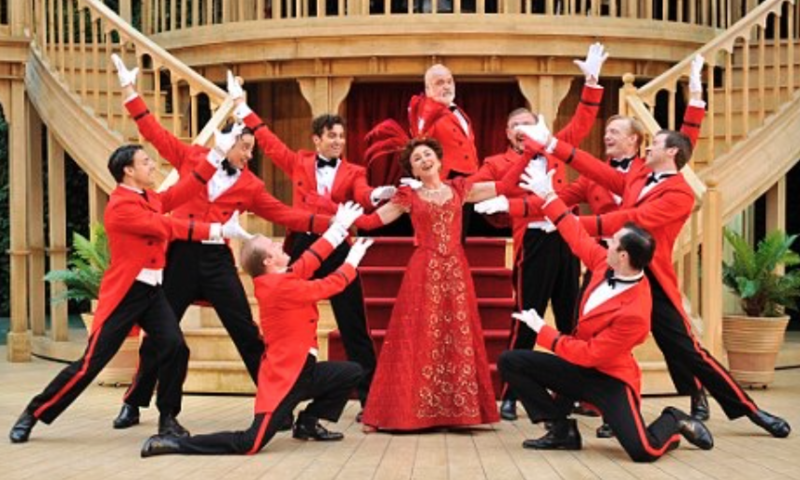 ​Want to strut your stuff in while dancing in amazing period costumes? We have a role for you! Want to march and sing in a full sized Parade on stage? We have a role for you! Want to be a fumbling waiter or a New York City Police officer? We have a role for you! The spotlight isn't your thing? Thats okay-with the large sets and many technical aspects required to put on a show this size -that’s right-We have a role for you too! It has be 30 years since Fendig Summer Theatre for Children produced this iconic musical and we are bringing it back with a bang- using the magic that only Fendig can create! If you are interested in learning more about the story and have a Netflix account check out the movie!